Winter Village, the only outdoor ice skating rink in Washington County, returns to Hillsboro's Orenco neighborhood Friday, Nov. 23. Erected each year at Jerry Willey Plaza, 943 N.E. Orenco Station Loop, at the Orenco Station MAX station, the 115-foot-long skating rink isn't Olympic-size, but it has drawn big crowds since it launched in 2015. 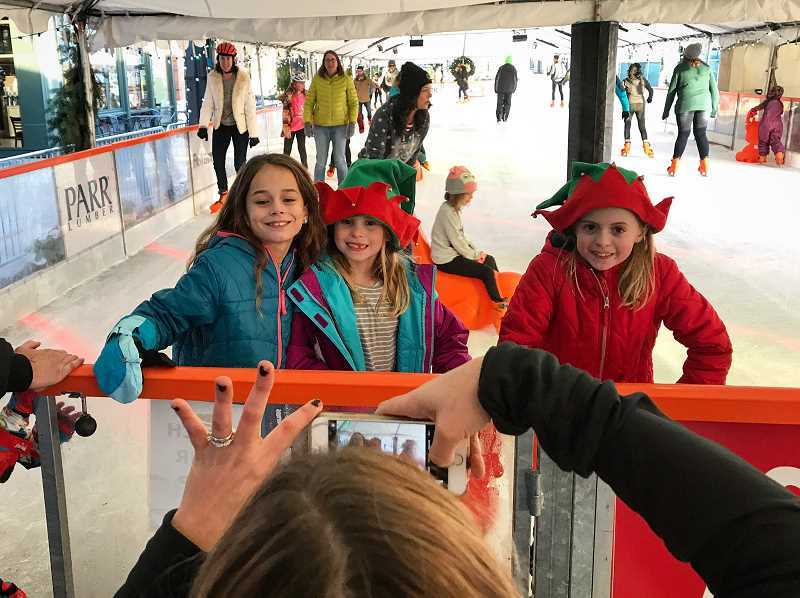 The rink has become a popular winter tradition in Hillsboro, drawing thousands of excited skaters from across the county. The rink is open from 10 a.m. to 9:30 p.m. on weekends and 4 to 9:30 p.m. on weekdays prior to Christmas. On Mondays, the rink is available for private rentals and special events. Special skating sessions for toddlers are held Tuesdays from 1 to 4 p.m. The skating sessions are geared toward children age 18 months to 5 years. Skaters must be accompanied with parents and guardians. The rink will be open for half the day on Christmas Eve and closed on Christmas Day. The rink will be open from 10 a.m. to 9:30 p.m. every day starting Dec. 26. Skating sessions are $9 for children and $12 for adults, with a $2 discount for families who bring their own skates. Tickets can be purchased at the rink. Skaters are encouraged to arrive on time as sessions may sell out. Skating sessions are 90 minutes long. Tickets for the next session will go on sale 15 minutes prior to its start time. Skaters will have to fill out a waiver before taking to the ice. City officials suggest that skaters fill out the waiver online before arriving at the rink, in order to save time. The ice skating rink runs through Jan. 6, 2019. The rink has grown greatly since it first opened. Last year the rink was expanded to 3,000-square-feet, the largest Winter Village has ever had.